Congratulations to the lucky couple! Let’s tie the knot between the wedding day and renewable energy. While you probably won’t be thinking about it during the ceremony, weddings contribute an unloving dose of CO2 into the world (in addition to a lot more bliss). The special day is a great occasion for carbon offsetting. Cancel out the harmful emissions generations by transportation, lodging, and other wedding necessities and give a gift of clean renewable energy to green-up the bride’s gown. 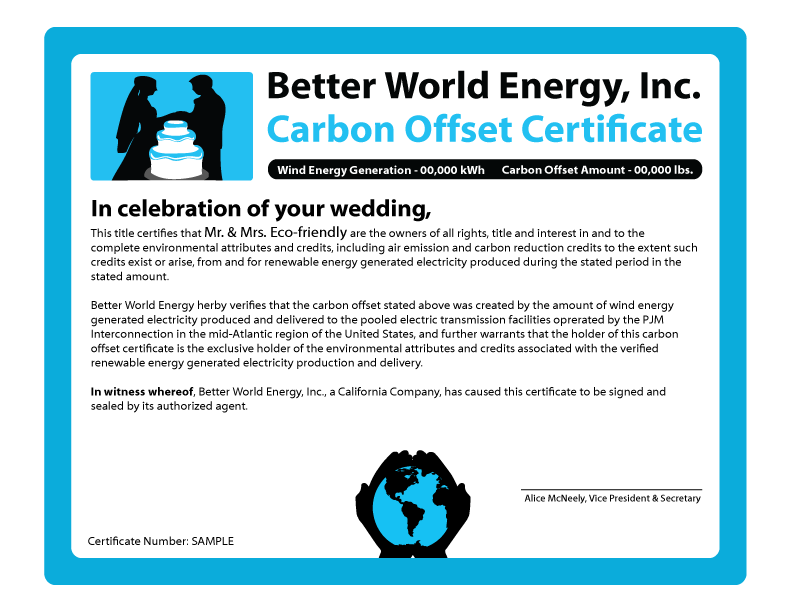 Let Better World Energy build a custom-tailored carbon offset for the big day and provide you with a personalized certificate. Makes a great gift! 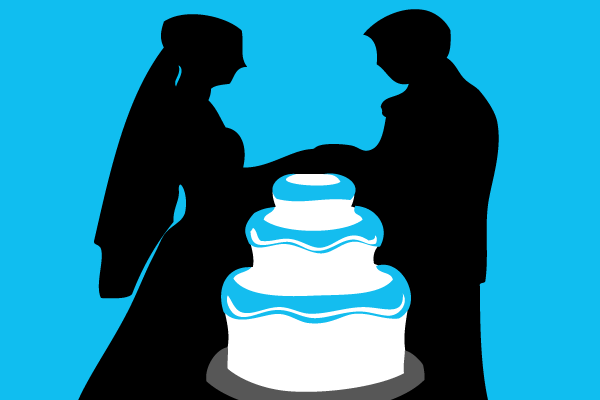 Please send us a quick email about the wedding and the best way to contact you. You may also contact us via facebook.